On a sun-splashed afternoon in late August, two distinguished men stood on the sidelines during Washington Redskins practice in Ashburn, Virginia, observing players for hours, chatting and comparing notes. Doug Williams, who had recently been promoted to Washington’s senior vice president of player personnel, knows how to evaluate talent. He didn’t really need any help. However, Williams has spent much of his adult life learning from James “Shack” Harris. And he has no intention of stopping. From his days at historically black powerhouse Grambling through his NFL career, Williams followed in Harris’ footsteps and became a pioneer. Many know that Williams, in an MVP-winning performance, was the first African-American quarterback to win a Super Bowl. But Harris also had a major role in shattering racist myths about the ability of blacks to thrive at football’s most important position. Williams wishes more people realized that. Williams is right: Harris deserves to be high on that list. 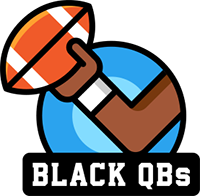 Become the first African-American quarterback to be selected Pro Bowl MVP. “All of us have a role to play,” Harris told The Undefeated recently. The thing is, Harris, 70, almost walked away from his chance to be a game-changer in multiple roles. After a stellar career at Grambling, which he led to three Southwestern Athletic Conference championships in the late 1960s, Harris, whose nickname is short for Meshach, hoped to prove himself as an NFL passer. But in 1969, when Harris entered the draft, black men weren’t being drafted to play quarterback. At 6-foot-4 and 210 pounds, Harris had prototypical size for the position, a strong passing arm and the speed to play multiple positions. Pro scouts noticed. If Harris changed positions, teams told him, he likely would be selected high in the draft. Harris wasn’t interested. Finally, in the eighth round, the Buffalo Bills selected Harris with the 192nd overall pick. Disgusted about being passed over so many times, Harris decided to walk away from the game he loved to become a teacher. Eddie Robinson wasn’t ready to let Harris go out like that. In training camp, Harris was seventh on Buffalo’s opening depth chart. He also faced exactly the amount of racism you’d think he would from white teammates, coaches and fans. That’s just the way things were back then. Harris was tough, though. Growing up amid the oppression of the segregated South in Monroe, Louisiana, during the 1950s and ’60s, Harris had to be able to take a punch. He stayed on the grind and earned the first-string QB job to open the season. As a rookie, a year before the NFL and American Football League merged, Harris started in Week 1 for the AFL’s Bills. Wide receiver Marlin Briscoe was among Harris’ teammates in that Sept. 14 game against the New York Jets. The previous season for the Denver Broncos, Briscoe became the first black man to start in either the AFL or NFL, and he had success. But Briscoe lost the job because of the institutional racism of the era. Harris’ debut against Joe Namath and the defending Super Bowl champion Jets didn’t go well. He suffered an injury in the first half of a 33-19 loss. Harris wouldn’t start again that season and wound up playing in only four games. As a backup in the 1974 season, Harris came off the bench to lead the team to seven wins in its final nine games. He also directed the Rams to their first playoff victory in 23 seasons. Harris earned the only Pro Bowl appearance of his career and won the game’s MVP award. Harris had another strong season in 1975, going 11-2 as a starter. However, the Rams’ front office was never fully behind Harris. By the 1976 season, the Rams were playing musical chairs at quarterback. You can’t win that way. Harris was traded to the San Diego Chargers. As the Rams’ starter, he went 21-6 in the regular season and 1-2 in the playoffs. Harris played three seasons with the Chargers, appearing in 26 games with 11 starts. He had a 4-7 record. Just as Robinson envisioned he would, Harris kicked open doors for others. Even now, almost 48 years later, Robinson’s words still resonate with Harris. “Coach Robinson would say, ‘You’re just going to get one opportunity. You have to be ready for it,’ ” Harris said. “That worked out for me. Doug also had a role to play, and he played his role. Along the way, with what we and others did, it has improved for so many other QBs. Although Harris’ playing days were over, his time as a trailblazer wasn’t. He also had a long, successful second career as a player-personnel official. Steadily, he made the long climb from being a scout to a front-office executive for several clubs. He helped build the Baltimore Ravens’ 2001 Super Bowl championship team. He was the vice president of player personnel for the Jacksonville Jaguars. In early January 2015, Harris retired from his role as a senior personnel adviser with the Detroit Lions. Harris wants to see more African-American general managers in the NFL. As a player and an executive, Harris got opportunities in the game. Despite the burden of the racism he faced, he capitalized on them and paved the way for others. A pioneer indeed.